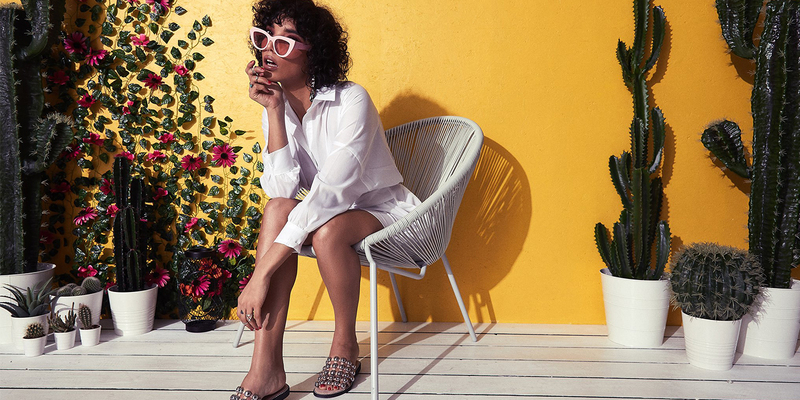 The Instagram footwear brand had outgrown their platform. With other platforms, you can’t customize it to exactly what you need. On Magento you can change absolutely anything. One of the keys to the brand’s success is speed. “We’re the fastest of the fast fashion,” explained Riaz. His team of buyers scan social media for the latest footwear crazes, then they design the shoes, which are made in China and shipped to their warehouse in the UK – all in less than seven days. The EGO team adds between 20-60 new styles each week. Mobile handles 80 percent of their visits and 75 percent of conversions. “Our main claim to fame is we get it first,” said Riaz. Speed is one of the reasons Ego chose to upgrade to Magento Commerce (Cloud), in August 2017 – it cut their page load time by 30 percent. To tailor the site to the brand’s audience, EGO partnered with Corra, a Global Elite Magento partner. Corra has worked with Magento since the birth of the platform, and specializes in creating the targeted fashion experiences EGO needed. Through in-depth customer research, Corra identified the brand’s key buyer personas as tech-savvy women aged 18 to 24. EGO shoppers are attracted by millennial minimalism, captivating photography, and viral trends, so Corra designed a modular homepage with content that can be re-edited on-the-go. Their new mobile-first experience features fun, playful icons, colorful animations, and a sticky email capture that drives opt-ins without distracting shoppers. Meanwhile, EGO’s glamorous shoes are displayed in huge images, with easy-to-read titles and pricing. Corra even implemented a tap functionality that allows shoppers to see alternate product views right from the product landing page. For Riaz, the biggest plus point with Cloud is the managed hosting. Now they can offload the technical expertise and maintenance to Magento, and focus on what they do best...shoes. “The infrastructure was a huge plus point, as was the development environment,” he said. Cloud also allows Ego to serve their images faster and in higher quality, better serving their mobile customers. Ego Shoes’ migration to Magento Commerce 2 took less than four months, and Corra had the new store ready in time for Black Friday. The holiday sales period is the busiest time of the year for EGO, when even Riaz joins his staff to pick and pack products in the warehouse. But Magento Commerce (Cloud) keeps the site performing, no matter how busy they get. “With Cloud we get additional resources to up-scale when we need,” said Haroon Hussain, Ego’s eCommerce Manager. The platform has allowed Ego to embark on the next chapter of their eCommerce growth, easily spinning up new sites for Australia, Europe, Canada, and the United States. They now ship 30,000 units a month.